This logo was designed by Michael Tanner and RuppShirts did all the printing. These are the best quality shirts and koozies we could find-- the very same brands I wear nearly every day (as a rule, musicians don't wear a lot of suits and ties). 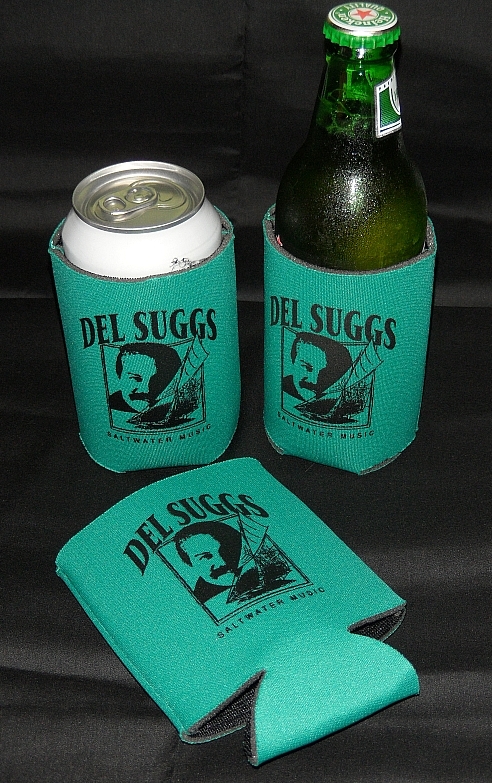 These are all-natural fibers, made from renewable resources, and good for you and the planet (okay, so the koozies are petrochemical. Think of all the ice they save...). With some abuse, these products will last a long time. With some care, they should last you for years. It all started many summers ago at Camp Du Jour. Michael Sautter and I were trying to beat the heat of a Kerrville afternoon by forcing fluids and sitting very still in the shade of our Motel 6 tarp. It became increasingly difficult to consume our beverages before the ice crystals turned to steam. It was not a pretty picture. I personally tested these koozies for durability, construction, and ability to keep a chill. I took them to the beach. I took them sailing. I took them to concerts. I needed to know. I found that these Koozies are a truly superior insulator. In fact, if you could get one big enough to wrap around your house, I believe that you could substantially reduce your cooling costs. Unfortunately, they only come in one size-- but luckily that one size fits all beverage cans and bottles! Order a pair before you open another can. Don't lose your chill. 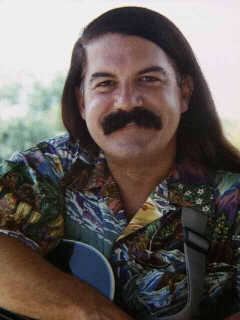 a basic cotton shirt, with a colorful testament to Saltwater Music on the front. 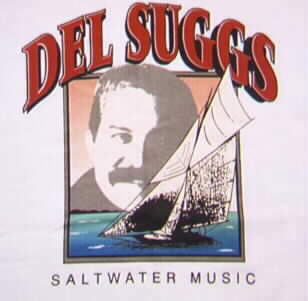 For three years I've been offering these first-ever Saltwater Music Shirts. To the best of my calculations, this shirt is being worn by folks in 30 of the contiguous 48 states, plus the US Virgin Islands and New Mexico (just kidding-- New Mexico is a state. Really). Who can blame them? These are great shirts. Being a t-shirt connoisseur, I got the best. Heavy 100% Cotton (of course), colorfast silk-screen printing on white or grey shirts, with classic fit and style. No compromises here-- when you wear as many t-shirts as I do, you know how important breathable cotton and comfortable fit are. This is a shirt you'll wear proudly for years to come. They've been on mountain tops, they've been in the Caribbean, they've been in the desert. Great for the beach, perfect for sailing (or just thinking about it), they're even good for just mowing the lawn on a Saturday morning. Available in Ash Grey, Size Large only.